I was sent this lovely children's book in the mail recently. I haven't accepted a lot of review copies lately---life is busy, and I'm not always interested in the book. This one caught my attention though. It's a children's book about family history! This is a subject that's near and dear to me, and I thought, what a brilliant idea, to write a children's book that might inspire young readers to learn a little bit about their own past. 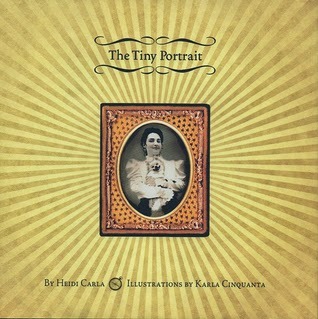 The Tiny Portrait, by Heidi Carla, tells about two modern siblings, Tess and Toby, who find a small portrait of an unknown woman in a box of family heirlooms, dated 1890. Tess thinks she might see a resemblance between herself and the picture. The next day, Tess and Toby think they see the woman, real and alive, in their garden. They run outside to find her, and instead they find a rhyming clue written on a rolled-up piece of paper. They follow the instructions and are soon racing through their town on a treasure hunt, led by the distant image of the woman in the portrait, who is always just out of reach. 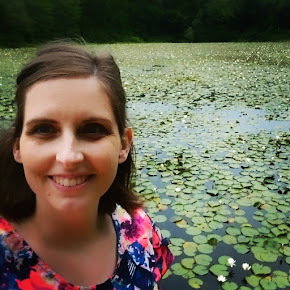 She leads them to historic places, like the town library, an antique shop, and the railroad station---each a place that teaches them a little more about history and genealogy. I liked the black-and-white photo art in this book, done by Karla Cinquanta. 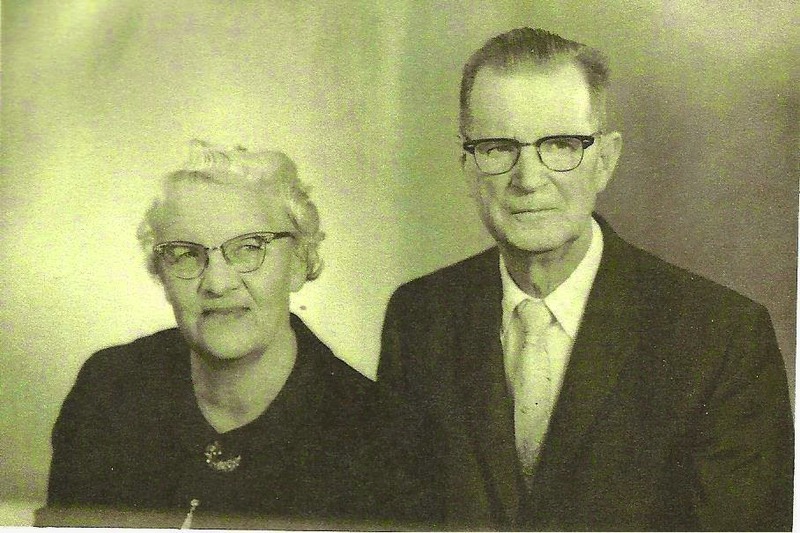 It was a clever way to illustrate a story about family history. Overall, a sweet little book, and a great way to start a dialogue with your own children about the interesting stories your own ancestors have to tell. It's so lovely when a publisher offers you a review copy of a book that really interests you! (Happened to me recently, too!) The Tiny Portrait sparked my interest, as well, but I had too much on my plate. I'm glad Ashley "took one for the team" hehe. I do have a review like this coming up -- look for my review *and* giveaway of The Night Before the Night Before Christmas later this week! In the meantime, if you want to buy The Tiny Portrait, here are the Everead affiliate links. If you make a purchase after clicking through these, I earn a small commission. 'Tis the season to be jolly!